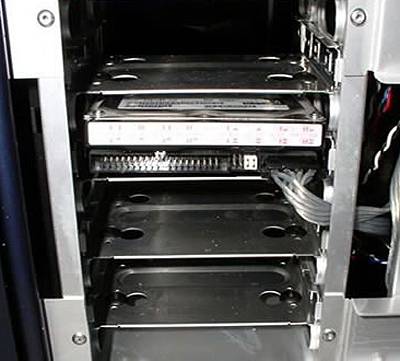 Once the 3.5"drives are in place, you can move to the 5 1/4 bays. 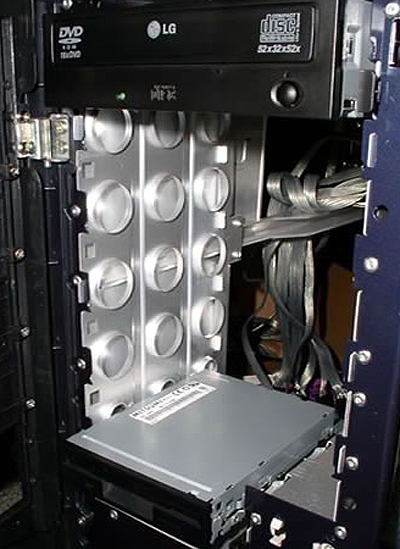 The 5 1/4 drives mount with simple plastic rails, so all one has to do is screw two rails onto each drive with two screws per rail and slide them into place. 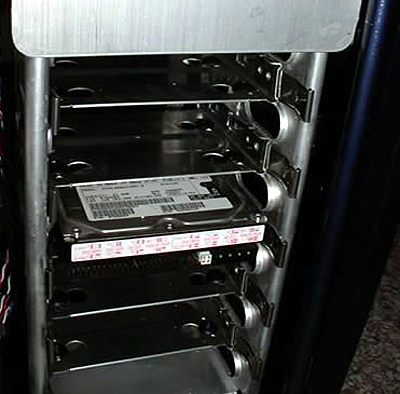 Now that our drives are installed in front of the case, we can move to the side where we're going to mount our hard drives. 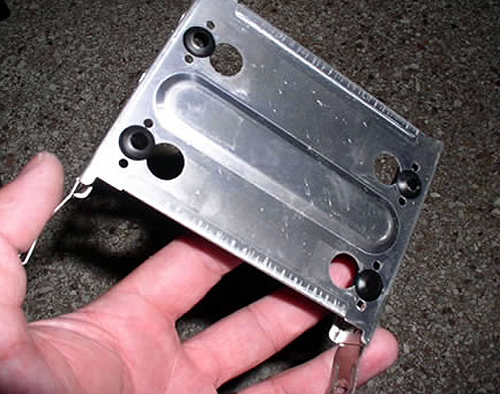 The drive trays slide right out of the side. 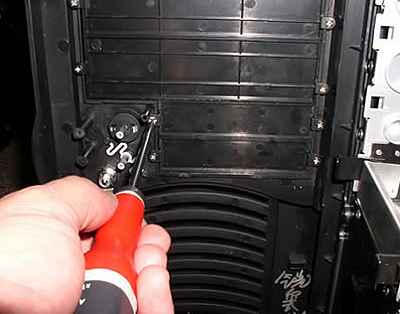 In the above photo you can see the rubber grommets that help isolate any noise from vibration. 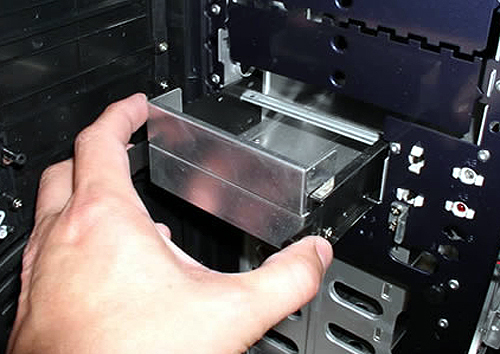 ...Ultra allows you to slide the drive tray in from the other side. Making the cables completely transparent to your on-looking buddies. Boo-yeah!